The Religious Education (RE) Worker teaches Scripture in government schools in Darwin and Palmerston. They work alongside other RE teachers to strengthen the work they have been doing in local schools by supporting them pastorally and equipping them. This role has been developed to reach more children and their families in the area. This position is a partnership between Bush Church Aid, the Anglican Church of the Northern Territory, and Scripture Union in the Northern Territory. Christopher and Maria Loreto, or Topher and Chica, moved to Darwin from Sydney in January 2017 after Topher completed a Bachelor of Divinity at Moore College. Both grew up in Chile where they were actively involved in youth ministry in their local churches. 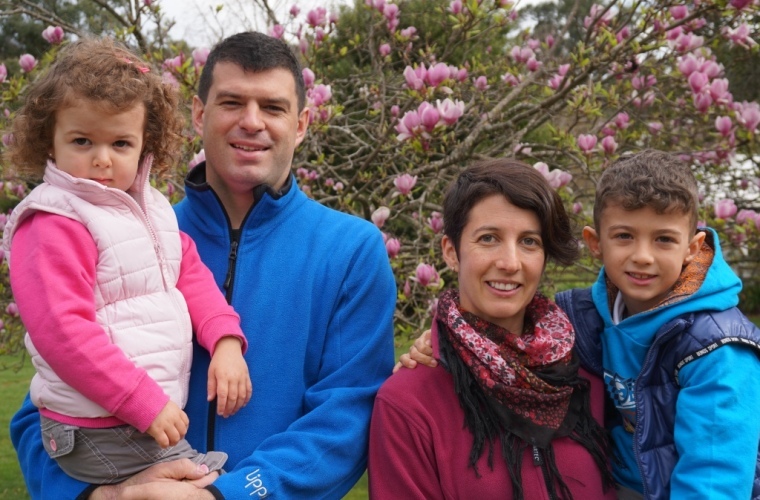 Topher is a teacher, who in Chile taught Christian Studies and music to upper primary and middle school students. They would like to be involved in school ministry for the long run to bring the good news of Jesus to people in their early years. They pray that through Topher’s role and the ministry of hospitality, they can reach more children and their families with the gospel. Give thanks for the many opportunities to speak of Jesus that Easter brings. Pray especially for Howard Springs Primary School where an RE program will commence again after many years. Ask for wisdom for the team and good relationships with the school.